Different Seva’s and Puja’s of Annavaram Temple were performed daily at this temple. 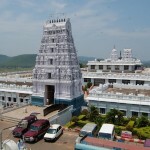 You can also know about the Epic Story of Annavaram Temple. With a great view of Bay of Bengal i.e., 11miles away on one side, the main temple was constructed on a hill top. 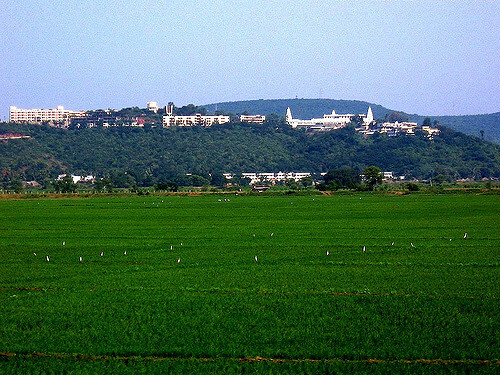 And Easter Ghats row on other side with beautiful green fields around the hill where it is surrounded by ‘Pampa River’ all these encircle Ratanagiri hills. It is studied that the hill rock itself is about 300 feet above the sea level. About 300 well-laid steps of stones are said to be laid on top of it. 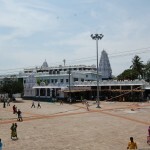 It is seen that the main temple is in the form of a chariot with four wheels on each corner. 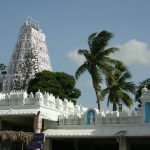 In the ancient text, an idea was further developed on entire Shilpa Sastra was on the principle that the walls and Vimana of temple should depict a devotee, of The Universe. It also should resemble the lord who is the supreme power. So, keeping in note of the above texts the chariot replicates the symbol of Seven Lokas underneath and Seven Lokas above, along with the Gharbhalaya of the main deity as the heart of centre that rules the universe. The chariot structure on the front side is one of the symbol, Meru on floor with the pillars at the centre. The idol of the top depicts that the lord not only is seen at the heart centre, but also resembles the entire Universe. The wheels of the chariot resemble the Sun and the Moon, which tell us that the Jaggernaut is moved on wheels of time and will go on forever. Al these factors depict the values of rituals and spirituality aspired by its devotees. 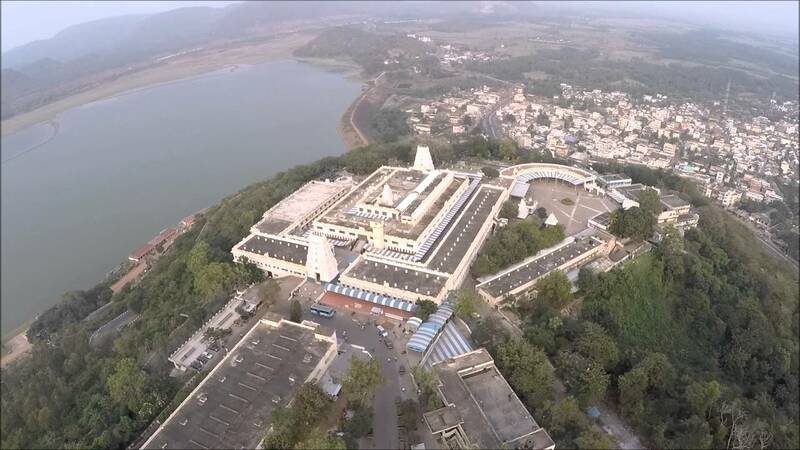 Note: The temple is two floored – ground floor with YANTRAM and PEETHAM of lord. Along the four sides of Yantram four deities are present namely Ganapathi Deva, Bala Tripurasundari, Satyanarayana Swamy and Maheshwara Swamy that which represent Panchayathanam. 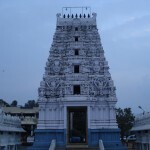 When it comes to the first floor, the idol of Moola Virat lord Satyanarayana Swamy is present at the centre, along with the idol of Goddess Sri Anantha Lakshmi Ammavaru on the right and Lord Shiva to the left. The idols of the Gods and Goddess leaves a splendid view to the devotees that are raped in golden Kavacham. 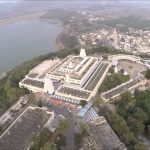 It is said that, adjoining Shrine of Lord Sri Rama is the where the main idol of lord Sri Satyanarayana that was self-manifested was meant to be discovered. So, lord Sri Rama is trusted to be the Kshetra Palaka of te divine holy temple of Sri Satyanarayana Swamy. 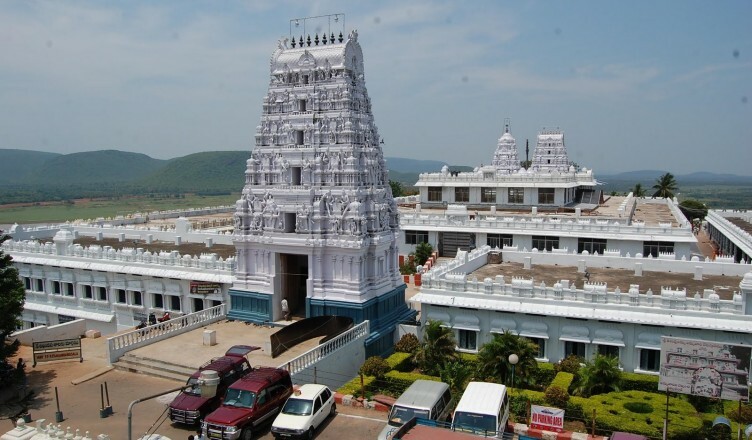 To know about the Accommodation at Annavaram Temple please visit here.